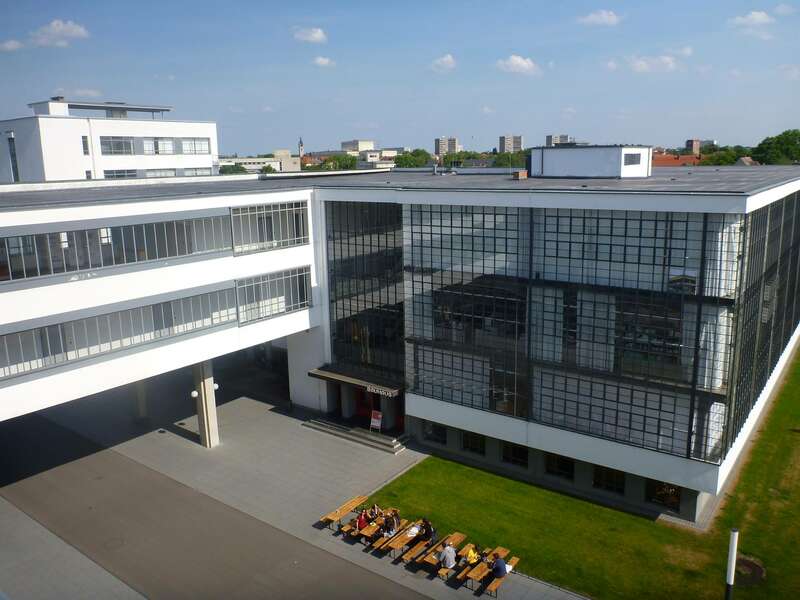 The former Bauhaus Dessau School of Art, Design and Architecture, designed by architect Walter Gropius, dates back to the 1920s and is a World Heritage Site. 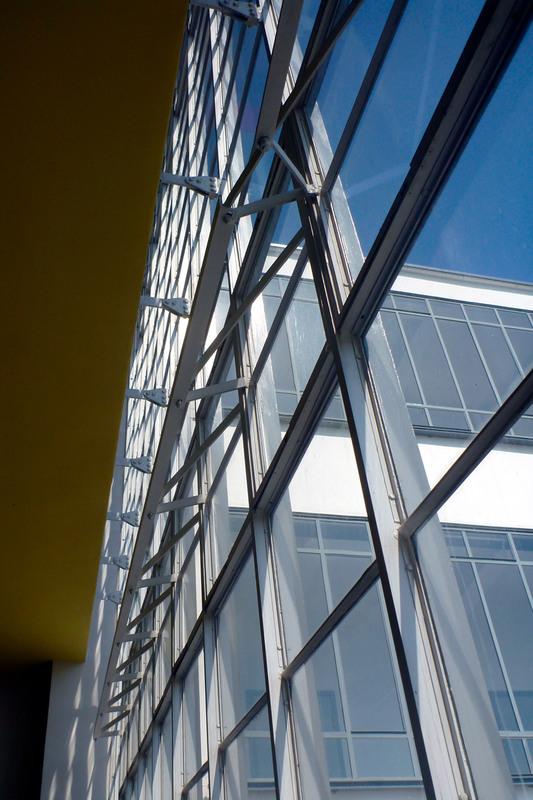 Without insulation and with single-pane glazing, the historic building complex consumed increasingly more energy with rising costs, apart from structural-physical and comfort-related problems due to the changed use. Transsolar developed a landmark climate concept for the renovation and significant reduction of CO₂ emissions for building operations. 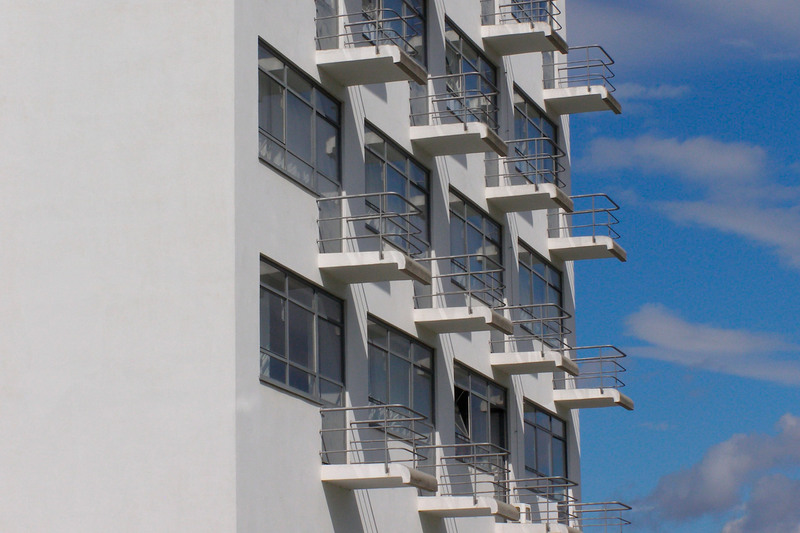 It was important to protect façade and wall surfaces from condensation while preserving the appearance. Transsolar analyzed the building and its consumption and developed various restoration proposals considering all energetic goals. In accordance with the monuments office, this resulted in a renovation catalog with the evaluation of each individual measure and potential savings, investment costs but user acceptance. Cogeneration now supplies with district heating. New pumps and insulated heating cables reduce energy consumption. Radiator controllers set the room temperatures; they can be programmed to the desired times and allow the user to adjust their heat levels. A plan for changing the use of the rooms according to the achievable insulation standards and shading options has been developed. Special thermally separated façade profiles were developed with the architects and a façade company, which are very close to the original profiles. The single glazing was replaced in large parts of the building by a double glazing filled with Krypton gas, but without a low-e coating, so as not to change the visual appearance. This reduces the heat loss by 50% and also the comfort problems caused by cold façade surfaces significantly. Historic façade profiles that could not be thermally separated are temperature-controlled with electric trace heating to prevent condensate and corrosion. The PVsystem for the roofs was coordinated with the monuments office. The frameless flat modules are almost invisible from below. They generate a feed-in tariff of approx. 16,400 € per year. With only some of the proposed measures completed, the Bauhaus Foundation saves more than one third of heating energy, reduces CO₂ emissions by almost 50% and many rooms can now be used all year round.